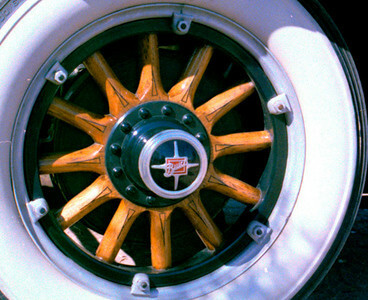 Basic wood spoke wheel (demountable at rim). Came with 29 Buick. Note pinstriping.